I was very fortunate to be invited to do a food tasting for the much-raved about Tim Ho Wan, (whose name in Chinese by the way means to 'bring good luck', which was exactly what I was having. The name precedes the restaurant itself, evidenced by the long queues outside and packed tables. Its much anticipated second outlet opens at Toa Payoh, and diners are in for a real treat. Six never-been-published dishes are added to its current menu under monthly specials and will be changed every few months to maintain variety and novelty for patrons. 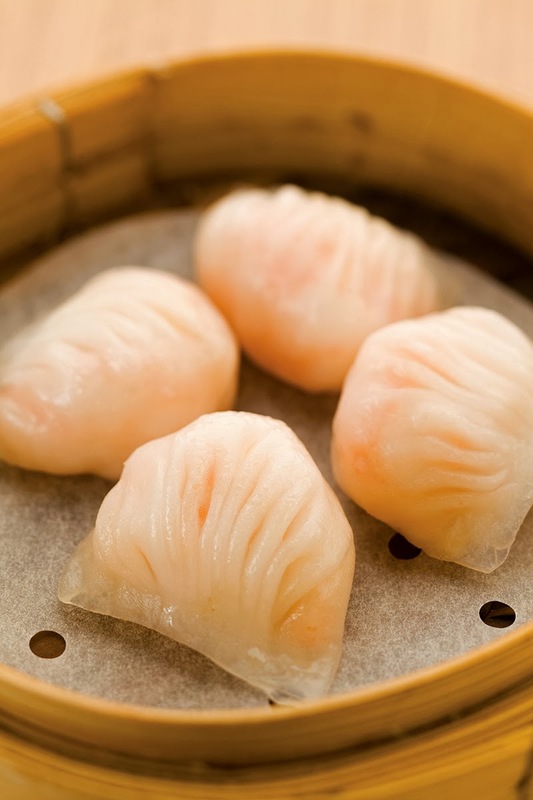 The overall ambience was warm and cozy with its warm interior tones accented with hilariously, the basket containers used to steam the buns and dim sums. 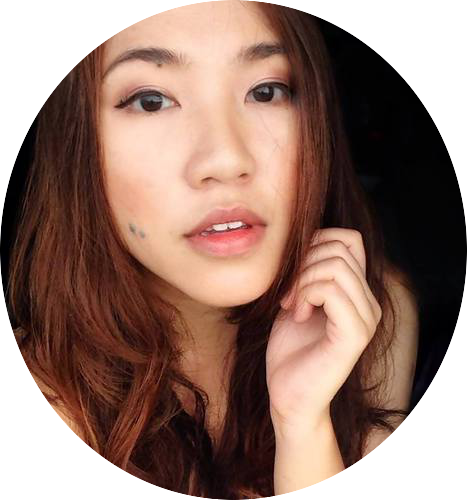 Retro Canto-pop music of yesteryear played overhead, coupled with the boisterous chatter of a filled dining room. 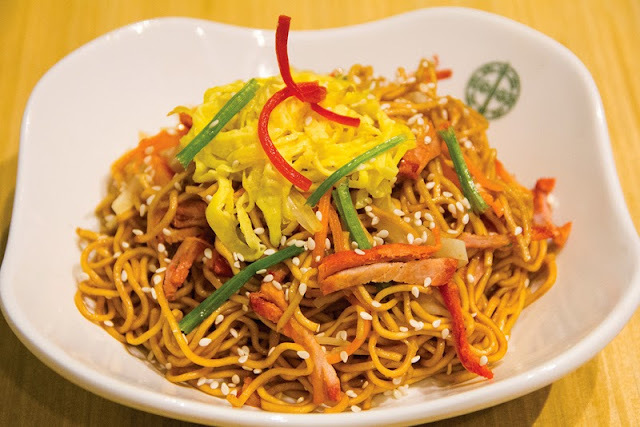 Some of these new dishes are Hong Kong bestsellers, whereas the others are specially whipped up to cater to Singaporeans’ palates. These include: Steam Chicken Feet with Abalone Sauce, Fried Noodle with BBQ Pork and Soy Sauce and Deep Fried Dumpling with Salted Meat. We started off with one of my major weaknesses: the quintessential Prawn dumplings ($5.50) otherwise known as Har Kow. These were HUGE, almost about the size of my palm. A soft and succulent juicy prawn encased in each soft translucent shell, you get 4 in a container and its perfect for those feeling peckerish but don't want a big meal. Each bite was a warm munch of joy, waaaay value for money. 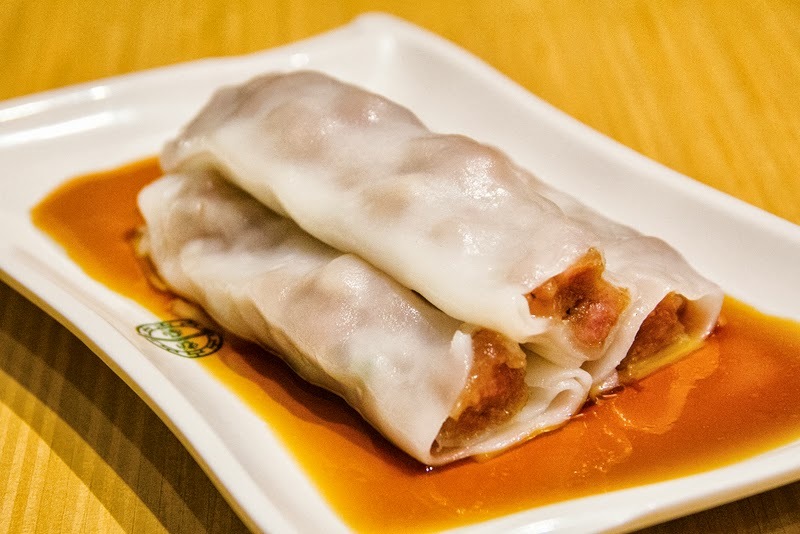 I'm a major beef lover, so the vermicelli roll with beef ($5.50) was just the thing for me. The small chunks of beef was tender, an almost soupy texture. Coupled with the soy sauce and thin vermicelli roll, this simple but tasty dish will make you ask for seconds. 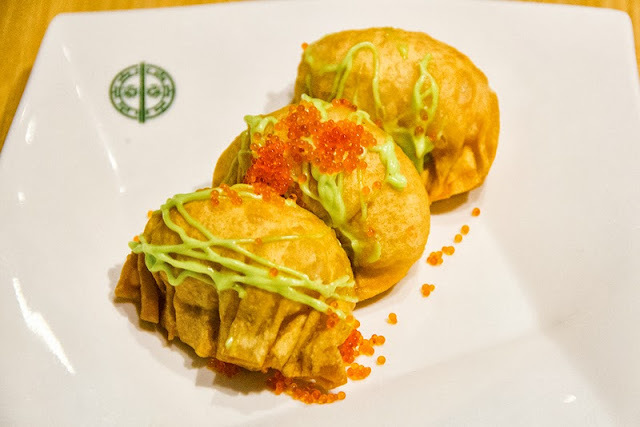 Wasabi Salad Prawn Dumpling ($5.00) is a fusion dish that features fried dumpling skins sprinkled with tiny prawn roes and wasabi sauce; giving a zingy kick to the prawn morsels and crispy exterior that was thankfully not too oily/greasy. I was recommended the Vermicelli Roll with Sweet and Sesame sauce ($4.20); which was really something that really appealed to my tastebuds. 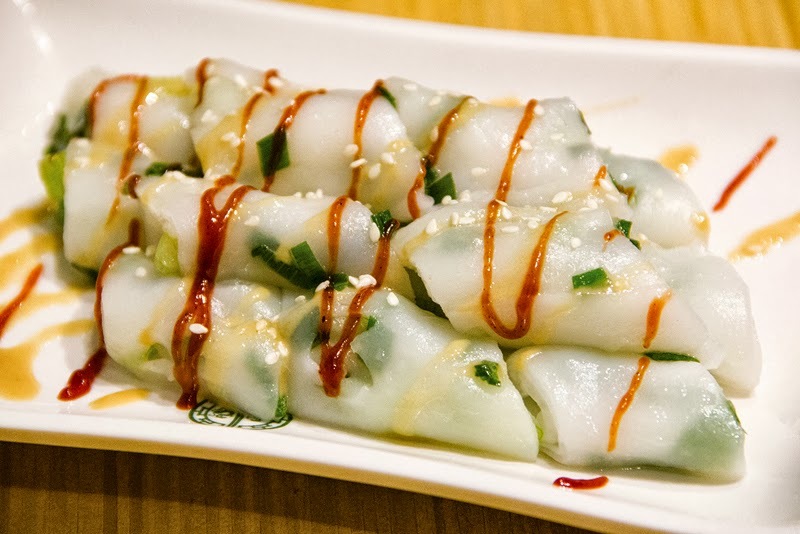 Soft rolls of vermicelli were drizzled with dashes of spring onions, absorbed the sweetness of the sauces. A smooth and savory dish that goes down well. A die die must try is the Baked Bun with BBQ Pork ($4.50). Not your usual 'Bao' fare, these piping buns are fried to a crispy golden. Upon resounding bite, the goodness of the sweet sauce oozes forth, melding well with the pork pieces and fried dough. 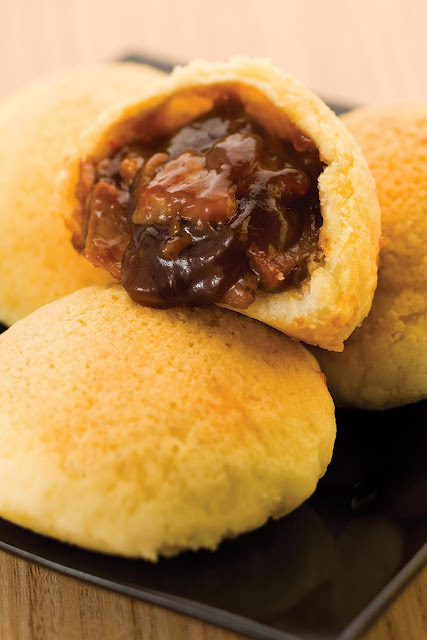 Your Tim Ho Wan experience is not complete without this dish! Fried noodle with BBQ Pork and Soy Sauce ($6.00): While nicely fried, I found it to be on the dry side, but you can probably rectify it with some sauce. Thinly sliced pieces of char siew, green and red chilli and sesame seeds gives a slight spicy flavor but not something I'd order as a stand-alone dish. I feel its better to have it complement with other dishes. Last but not least. desert time! While everyone opted for the safer choice of Mango Sago, I decided to try one of their signatures: Tonic Medlar and Osmanthus cake ($3.50). Jelly cubes of flower petals and wolfberries not only it looks pretty...it tastes refreshing! Although the ingredients sound like your usual Chinese medical concoction, I assure you it isn't at all. Lightly sweet and honey-like in taste, the wolfberry adding a slight kick to balance the saccharine-ness. The third Tim Ho Wan outlet will be at Bedok Mall while the fourth outlet will open in the western part of Singapore. Here's their menu to feast (pun intended) your eyes and plan for your own trip down too! 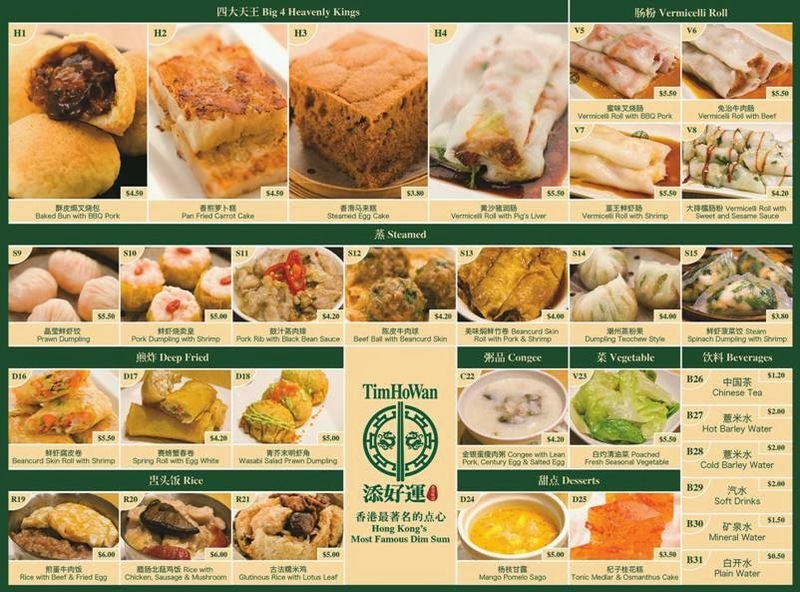 Tim Ho Wan is located at ERA Centre, 450 Toa Payoh Lorong 6 #02-02, Singapore 319394.